Tulip 37ml Slick Fabric Paint	There are 21 products. 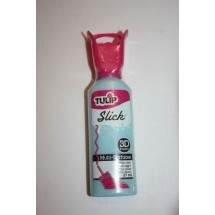 1 * Tulip 3D Fabric Paint Slick 37ml - Blazin Blue (Mid Turquoise). See our Dylon and Pebeo range on our site too. 1 * Tulip 3D Fabric Paint Slick 37ml - Bright Violet. See our Dylon and Pebeo range on our site too. 1 * Tulip 3D Fabric Paint Slick 37ml - Brown. See our Dylon and Pebeo range on our site too. 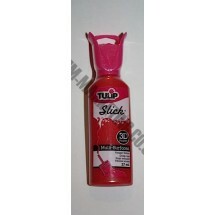 1 * Tulip 3D Fabric Paint Slick 37ml - Coral. See our Dylon and Pebeo range on our site too. 1 * Tulip 3D Fabric Paint Slick 37ml - Crab Apple (Lime). See our Dylon and Pebeo range on our site too. 1 * Tulip 3D Fabric Paint Slick 37ml - Deep Red. See our Dylon and Pebeo range on our site too. 1 * Tulip 3D Fabric Paint Slick 37ml - Deep Turquoise. See our Dylon and Pebeo range on our site too. 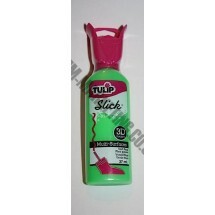 1 * Tulip 3D Fabric Paint Slick 37ml - Fluorescent Green. See our Dylon and Pebeo range on our site too. 1 * Tulip 3D Fabric Paint Slick 37ml - Fluorescent Orange. See our Dylon and Pebeo range on our site too. 1 * Tulip 3D Fabric Paint Slick 37ml - Fluorescent Yellow. See our Dylon and Pebeo range on our site too. 1 * Tulip 3D Fabric Paint Slick 37ml - Lectric Lime. See our Dylon and Pebeo range on our site too. 1 * Tulip 3D Fabric Paint Slick 37ml - Light Pink. See our Dylon and Pebeo range on our site too. 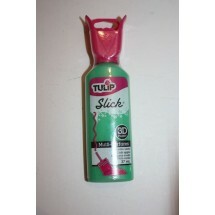 1 * Tulip 3D Fabric Paint Slick 37ml - Lilac. See our Dylon and Pebeo range on our site too. 1 * Tulip 3D Fabric Paint Slick 37ml - Orange. See our Dylon and Pebeo range on our site too. 1 * Tulip 3D Fabric Paint Slick 37ml - Pistachio. See our Dylon and Pebeo range on our site too. 1 * Tulip 3D Fabric Paint Slick 37ml - Poppin Purple. See our Dylon and Pebeo range on our site too. 1 * Tulip 3D Fabric Paint Slick 37ml - Purple. See our Dylon and Pebeo range on our site too. 1 * Tulip 3D Fabric Paint Slick 37ml - Royal Blue. See our Dylon and Pebeo range on our site too. 1 * Tulip 3D Fabric Paint Slick 37ml - True Blue. See our Dylon and Pebeo range on our site too. 1 * Tulip 3D Fabric Paint Slick 37ml - True Red. See our Dylon and Pebeo range on our site too. 1 * Tulip 3D Fabric Paint Slick 37ml - Yellow. See our Dylon and Pebeo range on our site too.